It is September 5 and I’m still working through posts about our vacation that took place in July. This needs to stop. 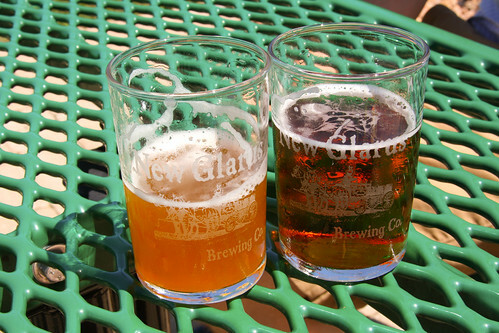 New Glarus is as good a place as any. 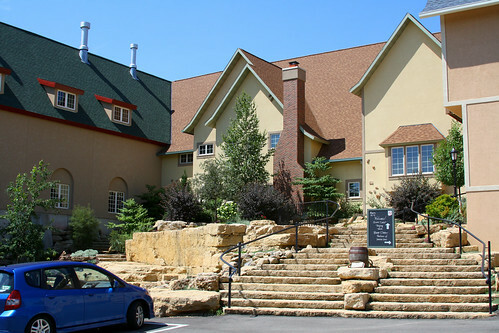 We’ve been meaning to go to New Glarus for years – specifically to the New Glarus Brewing Co brewery, home of my very favoritest beer, Spotted Cow. 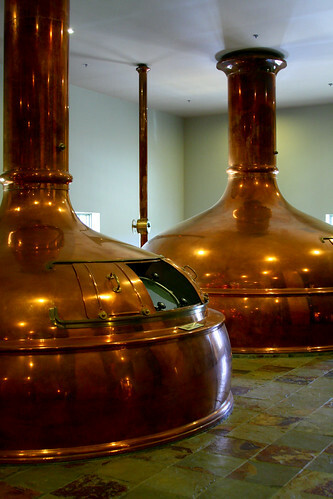 New Glarus offers a behind the scenes “hard hat” tour of their facilities every Friday, but as it sells out literally months in advance – currently the next available tour is November 11 – we had to be satisfied with the self guided tour through their new, sparkling clean facility. 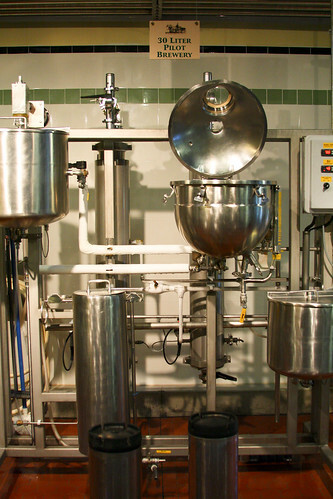 30 liter pilot brewing setup where they make the R&D series each year. The self-guided tour begins and ends at the gift shop, where for $3, you can purchase 3 3 oz samples and a sampling glass to take home. We enjoyed ours on the patio in the sunshine – a perfect way to spend an afternoon. 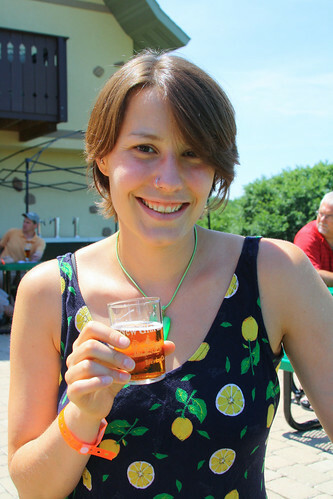 As for New Glarus itself? There’s just not that much there there – it’s more of a daytrip than a destination. We enjoyed our stay at the Helvetica Inn, but very quickly ran out of things to see and do. This isn’t necessarily a bad thing, but we both wished we’d stayed another day in Madison and made a side trip out for the brewery. Lessons learned! From here, it was on to Chicago by way of the kitschy Baumgartner’s Cheese Shop, where we ran into the same Food Network crew previously encountered at Fromagination! I’m really not sure how they picked Baumgartner’s, as it is a very different kind of cheese shop than Fromagination. We’re now doubly interested in the show – and hopeful that we’ll turn up as extras! And then Chicago – I spent two days at WordCamp while Shane slept in, shopped, and generally wandered around. We connected with friends and fantasized about life in Chicago. 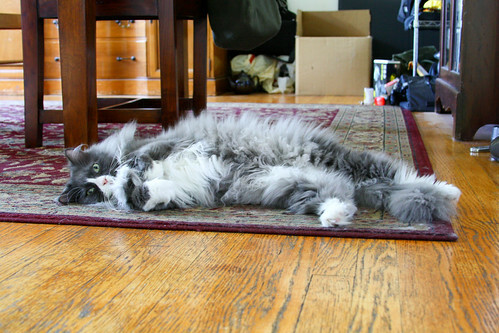 We were harassed by fluffy cats. It was a great end to a great trip.